So, you have decided to buy an alpaca? Great! Alpacas are wonderful as pets as well as for their fiber and meat. They are a great choice of investment, if you are thinking about starting your own farm. They do well in any state and any season in the United States. They are truly hardy animals with beautiful fiber. 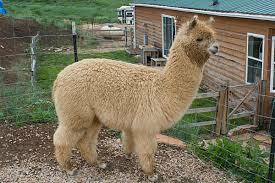 Alpacas are great to be around and they also help reduce stress from our everyday hectic lives. Alpaca breeding is also a profitable business and there are government subsidies and tax breaks for alpaca farmers. So, how much do you know about alpacas? They are very unusual animals in many ways. They are friendly, gentle, and fun to be around. Even though they originated from the South American continent, and they usually graze in herds on the level height grasses of the Andes of southern Peru, northern Bolivia, Ecuador, and northern Chile at an altitude of 16,000 ft above the sea level, they can be easily raised in any state in the United States. They closely resemble llamas, and are in the same family as camels or camelidae, they have very distinctive traits. Alpacas are originally from the grasslands of the high Andes Mountains located in South America, in countries like Peru, Bolivia and Chile. Before you buy an alpaca, get yourself acquainted with them and their behavior. Below is a list of things you should do before investing in an alpaca. Visit an alpaca farm or ranch in your area and learn as much as you can about them from other alpaca farmers. You will find some useful links at the end of this article to find an alpaca farmer on the web. Join the National Alpaca Owners and Breeders Association. Subscribe to a free online alpaca magazine like Alpacas Magazine on eBay, Alpaca World Magazine or Alpaca Culture Magazine. You will find plenty of valuable information about buying, selling and support services. Attend shows, exhibitions and events like open farm days. Regularly visit the AOBA website to get the latest updates on the national conference, other regional educational events and to create your network. Make sure that you have your farm ready for alpacas before you buy them. There are online resources where you can find information on buying, selling and current alpaca prices. You can also find stud services for breeding. There are even farms where you are able to board your alpacas if you don’t have a farm of your own. A brief list of such sites is given below. 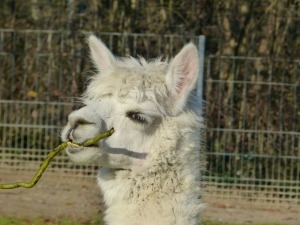 This site has a huge listing of alpacas for sale with prices and descriptions. It also has information on various alpaca products and services. You are able to browse through the listing of alpacas on this site and look at your options for buying them. This site has listings from several countries, including Australia, the UK and the United States. 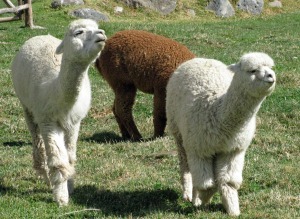 Located in Northern Colorado, Mountain Sky Ranch is home to one of the Rocky Mountain Region’s premier alpaca herds. Visit this site to book a tour of their alpaca ranch. You will find various alpaca and breeding services here. Alpacas are kept and raised for a wide variety of reasons. Before you dive in, identify your reason for buying an alpaca and this will help to narrow down what type of alpaca to buy. When you buy your animal, make sure you check for these specifications to suit your needs. 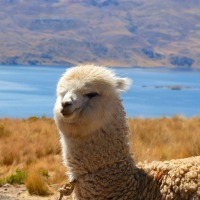 The easiest way to locate an alpaca for purchase is by going to the online marketplaces. If you have visited some of the alpaca websites listed below, you should have gotten a good idea about where to find an alpaca and how much you should pay for it. You can also use an alpaca agent, broker and supply store online or check your local newspapers for alpaca sale ads. You may also decide to import your alpacas. Basic rules for buying an alpaca are to look for healthy, attractive animals with good genetics, medical history and with the color that suits your needs. Ask the alpaca breeder or farmer about the medical history of your animal before you buy. Selecting good progeny or genotype is vital for animal breeders. Look for good qualities in alpacas through inspection and checking the offspring of the alpaca. Check the progeny records of the parent alpaca before your buy to make sure that your animal is the suited breed. Information regarding registries of pedigree is found at the ARI Registration site. Take a good look at your alpaca. Make sure it looks good enough for making a purchase at the asking price. When other data about an alpaca is not available, inspecting the alpaca is your best option before making a purchase. There are tax breaks and government subsidies available for those who want to start a business as an alpaca farmer or breeder. Make sure you find more information about it and take advantage of these opportunities, if you are planning to become an alpaca farmer. There are some farmers who will allow you to finance your alpacas. Visit the following links to find more information about Government tax breaks or government grants and subsidies. Would you like to learn more about alpacas and alpaca farming? Click here to book a meeting with us. Alpaca Farm Marketing on the Major Search Engines!